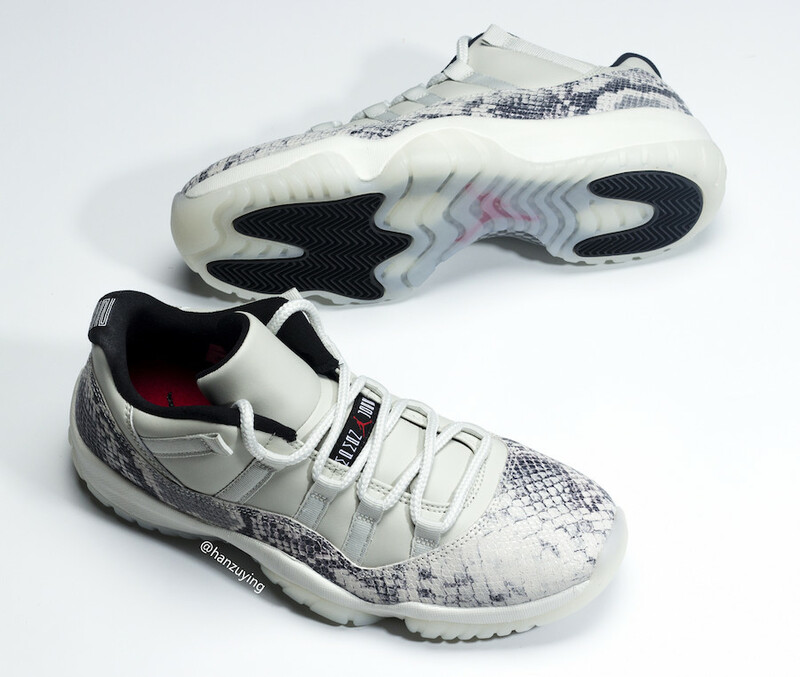 Jordan Brand is bringing back the Air Jordan 11 Low Snakeskin as part of their 2019 lineup, which will include an upcoming “Light Bone” colorway. Look for the Air Jordan 11 Low Snakeskin “Light Bone” to release on June 1st at select Jordan Brand retailers and Nike.com. The retail price tag is set at $185 USD. UPDATE: New detailed photos via @ajsole23 of the “Light Bone” Air Jordan 11 Low Snakeskin dropping in June. UPDATE: Detailed photos via @koala_hsh of the upcoming Air Jordan 11 Low Snakeskin “Light Bone” that is expected to release early June. UPDATE: A closer look via LN5Factory of the “Light Bone” Air Jordan 11 Low Snakeskin that releases this summer. UPDATE: Detailed photos via @HanZuYing of the upcoming “Light Bone” Air Jordan 11 Low SE Snakeskin releasing later this summer.